Yesterday we shared with you the content from the official AMD Radeon RX 590 presentation. Today it has been partially published by HD Tecnologia. 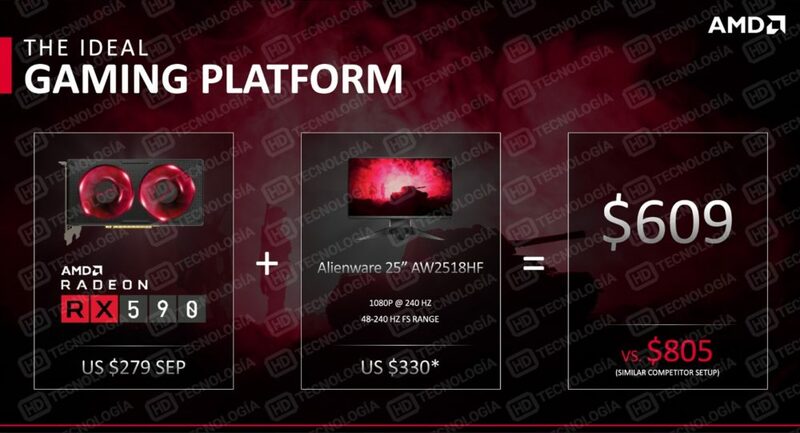 Guys over at HD Tecnologia have revealed three slides from Radeon RX 590 press deck. The first slide shows basic specs, which we gathered in a table below. 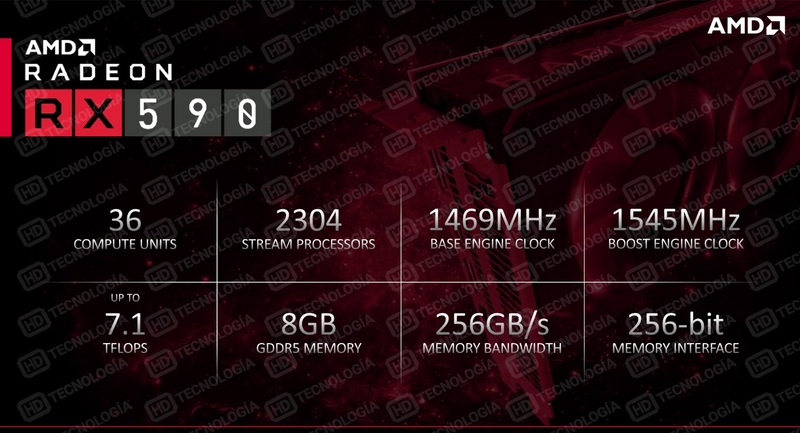 The RX 590 features 12nm Polaris 30 GPU with 2304 Stream Processors. The card is clocked at 1469/1545 MHz, but custom models will go up to 1600 MHz out of the box. No changes were introduced to the memory subsystem, the card is equipped with 8GB of GDDR5 memory across a 256-bit bus. The most significant change can be observed in FP32 compute power, which has now reached 7.1 TFLOPS. Performance-wise, the RX 590 will offer competitive performance against GeForce GTX 1060 6GB. AMD has not confirmed whehter competitor’s card features either 9Gbps or GDDR5 memory. 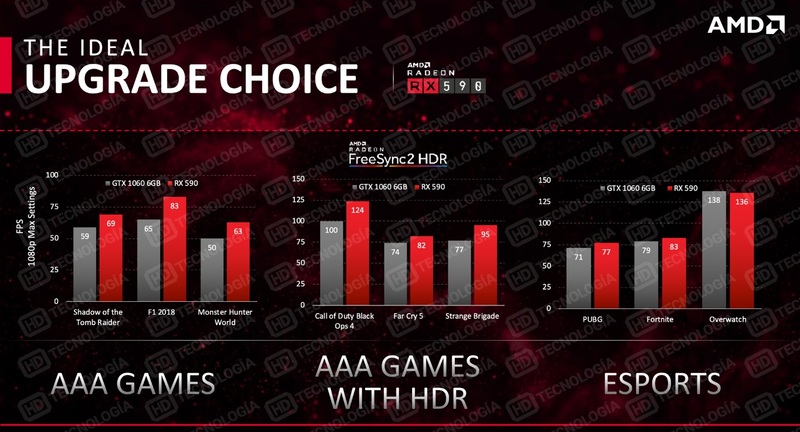 The third and last slide shows the retail price for RX 590. The picture also demonstrates how reference design looks. It appears to be a RX 580 clone with some extra red LEDs.